Tupou @ Pt England School: Big Cats And Small Cats Have 250 Bones I Wonder How Many Bones We Humans Have? Big Cats And Small Cats Have 250 Bones I Wonder How Many Bones We Humans Have? 1. 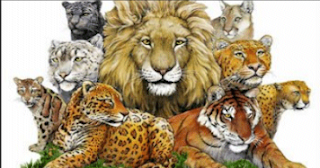 Did you know that big cats and small cats have 250 bones in their bodies and humans have 206 bones but babies have 300 bones when they are born. 2. Did you know that big cats and small cats have great eye sight in the dark. 3. Do you know how many cats in the cat family? I do there are 6 different types.